Growing consumer demand for local, distinctive foods has increased local food market opportunities in WV. However, recent policies such as the Food Safety Modernization Act (FSMA) and increased produce-related foodborne illness outbreaks has raised anxiety/concerns among consumers and producers alike about the safety of directly-marketed produce. We will provide food safety education to help producers stay well-positioned in the local food movement and meet buyers’ expectations of safe foods, in a cost-effective manner. One-hundred-and-twenty direct-marketers (3 cohorts of 40) of fresh/fresh-cut fruits/vegetables throughout WV attend a 3-module short-course (24 contact hours) covering topics such as: food safety risks, recommended GAPs/GHPs, on-farm food safety assessment, economics of food safety implementation, food safety planning, on-farm mock audits, record-keeping and voluntary certification, and effectively communicating food safety compliance. Six months post-training, 60 producers will implement a food safety plan with appropriate documentation, and 10 producers will apply for voluntary certification through this program. No-till cropping systems have been shown to not only significantly reduce crop production costs but also can reduce soil erosion, increase water infiltration, increase soil health, and increase crop resiliency in extreme weather events. Once developed, these systems can mitigate production and financial risks associated with growing a cash crop such as corn and soybeans through improved soil health characteristics. To increase the successful adoption of no-till cropping systems, we will develop and deliver research-based information on best practices for no-till silage corn production for northern climates. Delivery methods will include two on-farm demonstrations/field days, one YouTube video, a booklet on best management practices, and live broadcasting of our annual No-Till Cover Crop conference for further reach to dairy and livestock farmers. As a result, 200 dairy and livestock farmers will better understand no-till best practices, and 15 will implement no-till to better manage their risks of growing silage corn. This project addresses a market risk for small- and medium-scale farms that will be exempt from the Food Safety Modernization Act. To help these farms maintain credibility in the marketplace, University of Vermont Extension collaborated with the Vermont Vegetable and Berry Growers Association to develop Community Accreditation for Produce Safety. This farmer-driven program uses an on-line platform where farmers learn about best practices, write produce safety plans, and document plan implementation in order to earn accreditation. In 2015, twenty-four farmers are piloting the accreditation process to test the on-line documentation system and the peer-review process. In 2016, eighty farmers will complete on-line food safety plans and 75 will fully implement their plans, uploading the required documentation to become accredited by the VVBGA. In 2017, one hundred sixty hundred farmers will complete on-line food safety plans, and 150 of these farms will become accredited by the end of that year. This project addresses the risks mid-career farmers face due to a deficit of labor management and communication skills. As farmers scale up, they require more labor and thus more labor management skills. Farmers have expressed a deficit of skills and knowledge in: understanding labor laws, team building, effective communication, improving worker performance, effectively training workers, performance management, and conflict resolution. The 60 mid-career farmers from Northern New England who attend three interactive (five hour) workshops will increase their skills in labor management and communication. Farmers will listen, learn and then practice at these workshops. Three months later, 50 participants will be communicating with family members and employees more effectively, managing conflict positively, improving worker performance and satisfaction, and complying with relevant labor laws. This will result in reduced turnover, increased productivity, and improved quality of life on the farm. This project addresses the legal rights and obligations Vermont farmers will face upon the passing and implementation of Act 64, Vermont’s new state water quality regulation. The regulation changes certain agricultural practices from “accepted” to “required”. The regulation encompasses agricultural businesses from large to small, as defined by the statute. The program will deliver risk management education to Vermont farmers through a series of 6 workshops located in predominantly agricultural counties over an 18 month period. Agricultural producers will be brought together with legal experts to address farmer rights/obligations, document feedback for policy makers, identify specific legal risks on their farms, analyze existing resources and develop an action plan to mitigate risks to their business. 850 dairy producers will receive educational materials and 150 participants are expected to attend and commit to risk management plans. The project will verify that 50 producers implement their legal risk management plan. 2012 NASS report showed 32,950 farm owners over age 55 control of over half the 7,704,444 acres of farmland in Pennsylvania. Family communication and succession planning will ensure this land stays in agriculture production. Previous workshops educated farmers on required documents and succession considerations. The easy issues have been discussed and now the difficult conversations must take place. Assisting farmers to learn how to really deal with the tough issues. Continued communications training will provide sustained steps forward. This project focuses on growing communication skills and facilitator led farm unit problem solving breakout sessions for succession step progress. Other targeted topics include, legal updates, meeting the goals & needs of both generations and creative options to transition farms to non-family farmers. Beginning farmers who have successfully purchased and/or leased a farm from a non-family farm owner will share their experiences with farm owners seeking someone for their farm. Growing demand for local products requires increased producer capacity to successfully compete in locally accessible, higher-value markets. This project provides holistic curricula, training, planning tools and supplemental resources for 20 Agricultural Service Providers (ASPs) and 80 producers throughout West Virginia, to help them better understand how to manage marketing and legal risks associated with local foods direct markets. The project team will: 1) Create two publications (WV Market Ready Toolkit; WV Guide to Legal Issues in Direct Marketing); 2) Conduct two state-wide face-to-face short-courses, each comprising one market-ready module and one legal risk mitigation module; 3) Record training modules for use in one online short-course; 4) Establish website as a clearinghouse of project resources for greater project reach. Four months post-training, 15 ASPs will incorporate project curriculum into farmer trainings, and 40 producers will implement five ‘market-ready’ recommendations and three legal risk-mitigation strategies aimed at increasing sales and/or market access. This project addresses legal and financial risks on diverse family farms, large and small, associated with oil and natural gas royalty income. Many farmers in Pennsylvania are using royalty income streams from energy development to supplement farm income and to make important capital investments. Many additional farms in Pennsylvania and other energy states such as Ohio, West Virginia, North Dakota, Montana, etc. will be impacted as development continues. However shale well production declines and price volatility introduce significant levels of risk to the royalty income stream and ultimately to the farm family and farm business. This project will address reading oil and gas royalty statements, understanding volatility in energy markets, and making farm management decisions based on expected royalty income. In addition, participating farmers, educators and industry supporters will gain access to Penn State’s Royalty Calculator & Decline Curve Web App (shaleroyalty.org) so they can visualize expected future royalty income. Assist small, beginning, and limited resource producers of specialty crops in Delaware and Maryland protect profitability by responding to production (NAP, crop insurance), marketing (strategies, farmers markets), financial (record-keeping and analysis), legal (liabilities, estate planning), and human resource (labor) risks, by developing their own personal risk management plans. Three sequential workshops (18 hours) supplemented by personal assignments and individualized counseling (60 hours) will be delivered to 50 producers via a partnership of subject matter experts and local educators. Participants will develop the skills and understand their own operations sufficient to establish a written goal for each of the five areas of risk specific to their farm, delineate three specific actions to reach each goal, and commit to implement their personal risk management plan. Educators will support and monitor their progress and interview each participant at the end of the project recording the number of actions completed and goals reached. This project will providing training to beginning producers in farm financial and production recordkeeping strategies to better support sound business management decisions. 120+ Massachusetts beginning, small, and limited resources producers will learn strategies to improve business health, comply with regulatory requirements, and document eligibility for federal farm programs. We will conduct four workshops in NE, SE, Central, and Western Mass covering: strategies and tools for financial and production record keeping (smartphone apps, customized spreadsheets, Quickbooks), using records to create enterprise budgets for financial decision making and pricing optimization. Producer-led workshops will support peer-to-peer learning. A webinar on new technology tools and practical methods for keeping production and financial records will be posted online and disseminated broadly. Additional 1-1 technical assistance will be provided to 30+ farmers seeking to improve recordkeeping practices. Farmers will gain practical skills in recordkeeping, make better financial management decisions, and increase participation in Farm Bill programs. This project will teach limited resource and specialty crop producers the benefits of drying surplus fruit and vegetables. Production (economic impact of diversification), marketing (choosing direct sales strategies) and legal (ensuring food safety) risks are addressed when farmers collaborate with other producers or technical school students in a shared commercial kitchen. 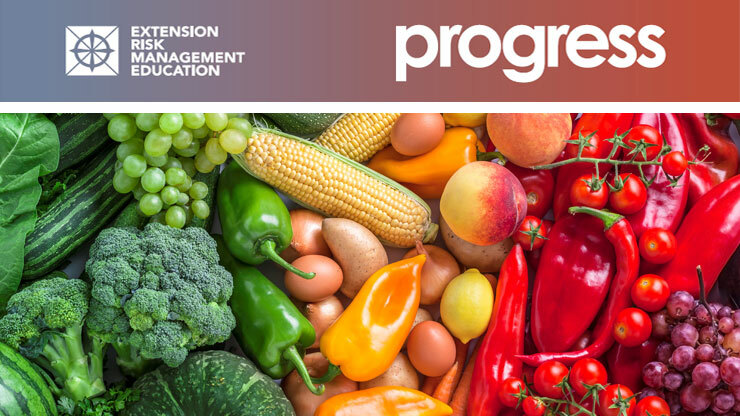 Educational materials will be developed (field tested by farmer/collaborators), equipping producers to determine current levels of excess fruit/vegetables, explore the feasibility of adding value, and plan adoption strategies. Information will be disseminated via six meetings (target 120 farmers) and Internet modules (target 50 farmers). A pilot project will be launched at Greater Johnstown Career and Technology Center (GJCTC); students will learn commercial food drying methods, and provide cost-effective, safe co-packing. Three project collaborators will be assisted in replicating the GJCTC pilot in their communities. As a result, 25 farmers will begin adding value to waste produce by drying commercially.